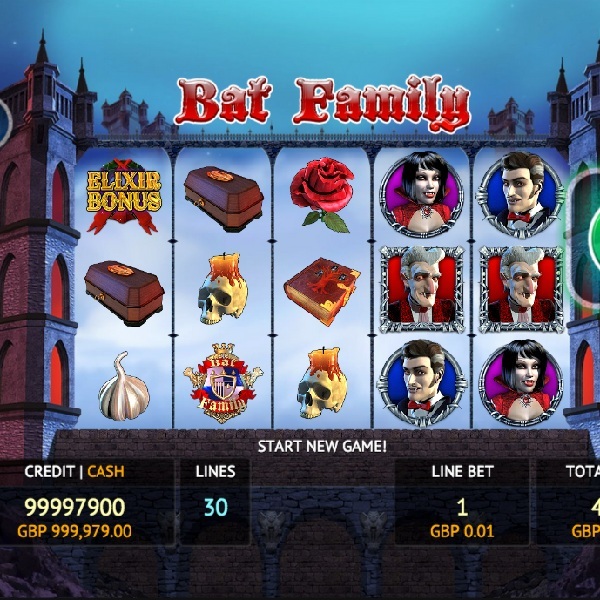 Those who enjoy shows such as The Addams Family and The Munsters are sure to love the new slot from Fuga Gaming Technologies, Bat Family. It is a 5 reel, 30 payline slot set at night inside a gloomy castle. All the symbols are theme related and include the bat Family crest, three members of the family, a spell book, a coffin, a green potion, a skull, a mirror, a rose and some garlic. The wild symbol is a bar gargoyle and there are two scatters, Elixir Bonus and Free Games. While playing at any time it is possible to be awarded a multiplier of up to 4x. The Elixir Bonus game is a picking game which offers some huge cash prizes and the free spins offer players up to 50 free spins complete with frozen wild symbols.